The Position: Our People & Culture Talent team is seeking a high energy professional to join our team as a Talent Acquisition Partner on a 12-month term. 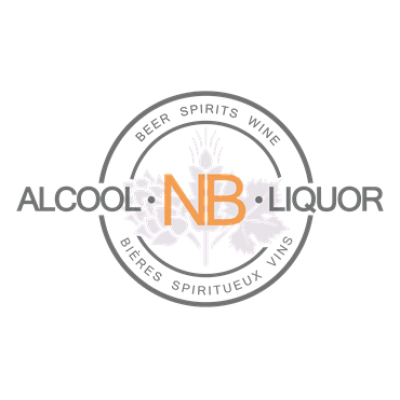 As a shared service, the Talent Acquisition Partner will have knowledge and experience to source, assess, and hire best-in-class external talent for Alcool NB Liquor and Cannabis NB. This position will assist People & Culture to deliver an exceptional client and employee experience while providing support to a broad range of team functions. Build and maintain strong professional relationships with leaders, internal partners, and candidates. Deliver the BEST candidate experience by managing the talent pipeline, acknowledging all applicants, and engaging in regular communication. Consult with business partners on selection processes, activities and outcomes to position yourself as a valued partner. Bachelor's degree with concentration in Human Resources or Certificate/Diploma in Human Resources Management or an equivalent combination of education and experience required. 3-5 years experience in Talent Acquisition or equivalent progressive experience in a people and culture environment. A CHRP and experience in a unionized environment are both assets. Proficient knowledge of Human Resources practices, principles, acts and legislation. Proven track record in achieving and exceeding performance goals. Excellent interpersonal and communication skills (oral and written) with demonstrated ability in consulting, coaching and influencing. Excellent decision-making and judgment skills with a commitment to maintain confidentiality. Competence in English and French at an advanced level is preferred. Aptitude and ability to utilize new technology, such as Microsoft Office 365, is required for this role. Periodic travel within the province is required. Compensation: Alcool NB Liquor offers a market competitive salary with a comprehensive benefits package, including medical, dental and a generous pension plan. We provide a motivating and rewarding work environment with excellent growth opportunities. Wow our customer - We provide an incredible customer experience not only online and in-store, but for our internal customers as well. Be mindful - We are respectful of others, and want to ensure we are always being considerate. We ensure safety is a priority, both for our customers and fellow team members. Dare to do better - We are a learning organization. We dare to take risks and fail fast, and we learn from both our hits and misses. We focus on development. We do better every single time. Celebrate success - We recognize those helping us grow, and making us a better place to work. We foster a culture of development. We are focused on performance. If this position and these values align with you, we invite you to submit your application. How do I apply? Qualified candidates should send their resume and a cover letter through our online application system. All applications should be received no later than April 24, 2019. Applicants must clearly demonstrate the essential qualifications to be given further consideration. ANBL reserves the right to validate information contained within your resume / application. All applicant communication will be completed through the candidate's email as indicated with this application. Applicants will receive an automatic email notification upon submission detailing that the application has been received. All further communications on the application process will be sent via email throughout the selection process. Note: Subject to the response to this advertisement, the education and experience requirements may be adjusted. We thank all candidates for their interest, however, only those under consideration will be contacted. For more information about ANBL, please visit www.anbl.com This position is open to all current employees of Alcool NB Liquor and external candidates of Alcool NB Liquor. See more of what Alcool NB Liquor (ANBL) has to offer.